Sgt. 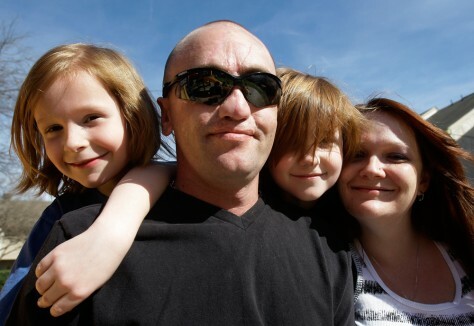 Darron Mikeworth poses at home with his family in San Antonio. From left are his son Ryan, 7, son Connor, 6, and wife, Dea.